Remember that feeling you got as a kid (err… or as an adult) when you hopped on the back of a shopping cart and rolled across a glossy floor through your favorite store? Well, that’s the same rush we get every time we find a great deal. And now, thanks to Target’s new digital savings program, you’re about to experience that feeling a lot more often. 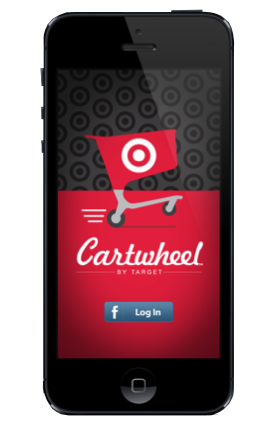 Cartwheel enables you to save money on the things you love and share your favorite deals with friends on Facebook. The more active you are—redeeming, saving and inviting friends to join Cartwheel—the more benefits you can get. Guests even receive special “badges” based on activity as they rack up savings on everything from frozen food to footwear. 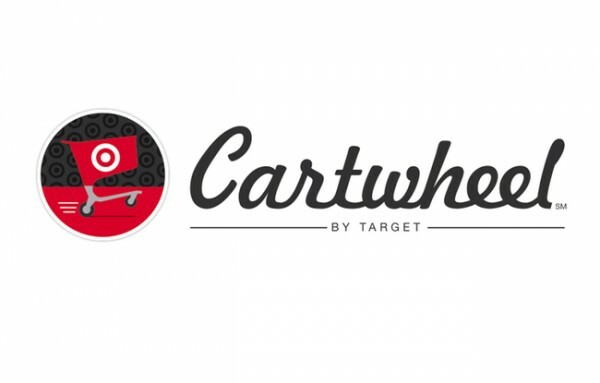 “We know our guests love a great value, and Cartwheel offers another fun and easy way to save money at Target,” says Casey Carl, president of multichannel at Target. 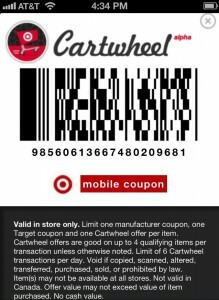 “Cartwheel bridges the in-store experience with social technology to help our guests discover and share personalized deals and inspiration with their friends.” Target is launching Cartwheel in beta, so guests are encouraged to provide feedback as Target works to iron out any kinks and enhance the Cartwheel experience. So, how does Cartwheel work exactly? Walk through our step-by-step guide below. 1. 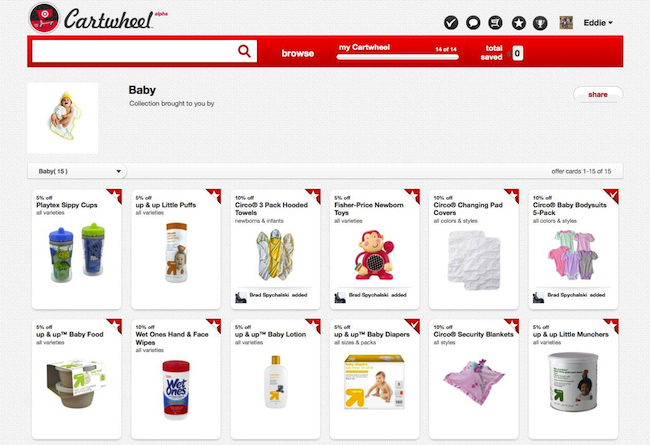 Log in to Cartwheel: You can access Cartwheel at cartwheel.target.com on your computer, tablet or mobile device. 2. Find and choose deals: Find hundreds of offers on products throughout a Target store–either by browsing Cartwheel or your friends’ activities–and add your favorite items (up to 10 to start) to your Cartwheel list. A red check appears in the corner of the offer card once a deal has been added, and you’re ready to purchase! You can either print your Cartwheel barcode from your desktop or use your mobile device in store to access your barcode. 3. Redeem your deals: Head to your local Target store. You know where it is. Present your barcode to the cashier at check out (either a printout or on your mobile device) just as you would any other coupon. The cashier will scan your barcode and you’ll save on the Cartwheel offers in your cart! 4. Repeat! Enough said.